Conversation of the Week LXVIII: Is It Time for Society to Recognize that There Is Only One Race But Many Ethnic Groups? Is it time to rethink how we think of race? There is only one race, the human race, but many ethnic groups. Race is a construct whose precise origin still remains in dispute among scholars. However, there is a large body of scholarship in the humanities and social sciences that confirms race is a modern concept constructed under specific historical, social and economic conditions – often to create and perpetuate power, servitude and superiority. While the continued focus of a great deal of academic scholarship, the subject of race has managed to escape sustained and informed public dialogue. Since the election of President Barack Obama, many would like to believe a public and sustained conversation about race is no longer necessary. In many circles, race is a taboo subject to be avoided as we go about our daily lives where an honest conversation is most needed. We somehow are fine with the subject of race being ignored or only addressed when some blatant and ugly incident makes it unavoidable and calls into question, at the moment, our own sense of decency if we choose to remain silent. Why not abandon once and for all times the man-made concepts of race, which have done and continue to do more harm than good? We have allowed the color and shades of skin and other cosmetic differences like the texture of hair, color or eyes to shape our impressions of entire groups of people. When beyond the surface differences, often the results of geographic and environmental forces, we are all 99.99999 … percent the same. The results of the Human Genome Project have conclusively proven that. Like beauty, the concept of race is only skin deep. So, why do we persist in hanging on to the false notions that there are several races? There is one race the human race, which happens to have many ethnic groups. Clearly, this will require a deliberate and new way of thinking to bring about such a revolutionary change of the definition of race on a broad scale. But major changes occur over time. Like fruit- bearing trees, the seeds are planted long before we harvest and enjoy the fruit. Like every great change movement, there will be resistance and there will be those that will never embrace the change. But we need to begin somewhere. Many people believe that the negative perceptions around race will change with the younger generations, and older generations are a lost cause. Needed changes will occur only with a concerted effort by people today and future generations. There must be deliberate efforts by adults, older and current generations, to educate and re-educate, beginning with ourselves and passing it on to our children. Prejudices, acts of discrimination occur on a daily basis among the young people because of what we have passed on. If we ever hope to change the view of race, as adults, and stop allowing it to be a divisive force in our daily lives, we must we willing to accept that there is one race, one humanity, we hold in common; and commit to understanding the ethnic and cultural differences that make us unique, interesting, and sometimes challenging. One race, and many ethnic groups. Why not try it on? Wear it. Pass it on. Play it forward. What do you have to lose, except a false sense of superiority and close-mindedness? 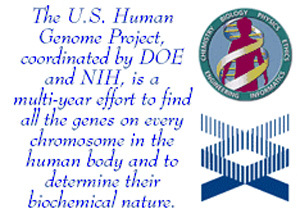 Note: The Human Genome Project resulted in significant findings as verified with the many sources and references available. This is just one or many articles summarizing what we learned. I recognize that there is one human race. That much is quite obvious to me. However, how will saying that there is one race and many ethnic groups solve the problem of people allowing "the color and shades of skin and other cosmetic differences...shape our impressions of entire groups of people"? Those differences still exist within ethnic groups. There has been a push in the recent past to teach children to be non-judgmental towards those who are different. I think continuing to teach them that value is important in overcoming problems with discrimination. By teaching our children how to be tolerant and accepting of differences, we can instill in them a value that will be passed on from generation to generation. I agree with this. Society is too influential on our future children and no matter how much we try to keep them from giving in to society, they will at some point. The labels we put on people and stereotypes will always remain, even if we tried to change them. Not only is it on the XBOX but just everywhere in general. Just walking down the street you can hear the language adolescents use today. There are also these parents that do not correct their children's language and the behavior in public, which seemingly promotes the bad behavior and teaches them they can talk and act how they want because it isn't corrected from early on. It's not enough to just put a warning label saying "explicit content" on current music or movies for that matter. Even if Webster's dictionary changes the definition of the word "race," there is still the word "ethnicity" that people will use to discriminate others with. I think debating the definition of the word "race" is a bit pointless for this matter. I think it would be fine and dandy to say we are all part of the same race, but instead of "racism," we will begin to have an inevitable issue with "ethnicitism" or whatever we will call the new form of racism. To distinguish people based on their skin colour and call it a different "race" is discrimination, which is completely different from accepting the existence of distinct ethnic groups, which are based on culture and background. We only have on race, the human race. That is unquestionable. The real understanding is in seeing that the different ethnic groups is a diversity that only adds benefits to our life. I am agreeing with you that it is absolutely discrimination to make a difference with only sin colors, because all human have the common sense regardless of their skin color and there is no best skin color which is superior than the other, so it is better to take each other as the same thing but differ in languages, skin colors and geographical location as well as ways of living from one place to another. I agree, there is no way of completely stopping the word "racism" even if we do someone will always come up with something different for the word. I honestly doubt that this will ever go away. The older people don't like to stray from their "norm" so they will teach generations and generations past them what they learned and we will have a hard time getting past this issue. In addition to teaching our children how to tolerant and accepting of another person's differences, we should also encourage them to seek out similarities between different ethnic groups. That may also lessen discrimination. That is definately a good idea! After we find similarities, we get more familiar with it, and the differences won't matter as much. We are all human no matter what color our skin, eyes, or hair. It is sad that because of today's society and history, that negative perceptions on race and ethnic backgrounds has been put into our heads. It has been suggested that we start teaching our children to see more of the similarities rather than the differences between ethnic groups in hopes to change the future for generations to come. However, there are those ethnic groups that will resist the change. I believe those that live outside of the urban communities that still follow their old ways may not change their views. There are also those people that were brought up by an older generation that do not know any better than to keep discriminating against those they do not know. It will be those people that are going to be hardest to change their views if it is even possible, because they will teach their children the same way they were taught. I believe there will not be a universal acceptance of other ethnic backgrounds, but we will still strive to achieve it in generations to come. Of course there will be people who will resist change. There will always be those types of people. We cannot force others to accept new ways of looking at things. The only thing we have control over is our own person. I suppose the best thing to do is to lead by good example. People will often look at and learn from another's actions rather than their words. I am agreeing that not all the people will agree with this, and not only this in any changes occurs within the society not all the people will agree, but all that we can do is to keep on putting the efforts to bring all of this into practices, so that even people who resist will come to agree with this and not only agree but to work on it, to eliminate race discrimination all over the world, to create a good society without race discrimination because we are one and together we can make it. I agree that we can not help who our parents are and what we are taught. however, we can choose as to what we do with what we are taught. the way we live our lives is a choice, it is a matter of perspective. the way you look or perceive a person is a matter of perspective. I was raised to believe that being gay was wrong but I myself made the choice not to believe that. I believe that God loves all his children so therefore I should too, no matter the person's choices throughout their life. and therefore I take that perspective in all aspects of my life. I take this same perspective when it comes to someone's race. my perspective as I said before is that God loves everyone; whether they be black, blue, or yellow. I treat all people the same regardless. It is important to acknowledge that there is one human race meaning that we, as human beings, are more alike than different. If we learn to concentrate on our shared characteristics rather than our differences, there is a chance that people all over the world with different origins acknowledge we all share a common heritage. "One race, and many ethnic groups." This motto being wide-spread all over the globe could have the potential to help overcome the common view of different being bad. Indeed, we all are human beings sharing a great variety of similarities and even though we all differ to some extent from each other, these differences are not bad. Unfortunately, this knowledge is easily forgotten: Too often, people criticize what is different in other people which in return can result in discrimination. I think education could contribute to wide-spread that there is only one race even though people might differ due different ethnic heritage. Children and especially adolescents should be educated in a way so that tolerance and acceptance of differences among ethnic groups. This could, in the long run, lead to a shift in the world's view point to an understanding that differences are not a bad thing and furthermore, that differences do not determine who we feel close to but similarities do. It is so important to start with adolescents and children because they can be still influenced sustainable and later on, they can teach future generations. Although it would be ideal to have everyone believe that there is only one race - the human race - it is impossible, especially in today's society. With race comes culture. We value the presence of different cultures and the mentioning of different cultures. However, when it comes to race, there are many lines that are easy to cross in conversations and people (rightfully) get offended. Too many people already have negative preconceived notions about other races. Many (false) stereotypes exist and that is something that has continued over time. If we all agree to be alike, then that means we are all equal. If we are equal, there is no power in the world - something that every human has fought for sometime in his or her life. It is our human nature to search for power in order to succeed. I'm not sure that humans will ever be able to come together and say that everyone is truly equal as a universal belief. However, if we are able to tolerate each other, the world could become a better place. Teaching children that while people may look different everyone has DNA is important. Teaching children and adolescents to tolerate other people's beliefs, opinions, religions, races/ethnicities, and differences in general is the most important thing we can do for the next generation. I agree with you that people think way to different about each other including (false) stereotypes and prejudices. We tend to notice first what is different and make our minds up before we give the other one a chance. But instead, we should rather concentrate on what we share. I don't know if it will be impossible to establish an ideal of one human race but if people try, it definitely will be difficult, will take a lot of effort, and for sure, time. Keeping our cultures can go hand in hand with one human race. The belief of one human race, in my opinion, does not say that our ethical backgrounds won't exist anymore. It simply means that if we learn to see us - everybody included - as one human race, ethical backgrounds will not be a factor for discrimination but we would accept where we come from (without distinguish between skin colors etc.). We would all belong to the human race no matter what ethical background we have. With it, people could learn to either not weigh differences among each other as (significantly) negative or they might realize that our differences make us unique BUT in a throughout positive way. One way to start is, in which I agree with you again, teaching children about tolerance. They are the ones influencing the next generation and anyway, children are the least prejudiced people. So why not build on this and strengthen this tolerance. Yes we still have problems with people judging or looking down upon people of a different race. But people also look down upon those people that have physical disabilities, those with down-syndrome, those that are littlier than the average person and the list could go on and on. People need to start to realize that everyone is different and everyone have their own lifestyles. Just because it is different from the way you were raised doesn't mean you have any right to judge them or be mean to them. This world is full of hate and mean and it will become a scary place if that is all one person know how to be. You are bringing up good point that people do not only discriminate between races but also due to disabilities - may they be physical or mental. By only overcoming racial discrimination, hatred won't be gone, especially not against people with disabilities. There will be always differences but people need to learn to see these differences as something enriching rather than seeing them as something negative. People need to realize that they don't have a right to judge someone else just because they are somehow different. This realization will be - in the end - the first step towards acceptance no matter if concerning racial or other kinds of discrimination. Yea this really true the people always over look many things when dealing with a particular part of the situation. Most of the time people are filled with negative everything, no one is truly positive, everyone still judges everything. Everything from where you came from to even what you wear, the sooner we let go of all these the more steps were taking towards progression. We are all humans and we do live earth, we do interact in several aspects, such as economic aspect, social aspect,political aspect but culturally is where we differ, because ways of living do differ from one society to another ,although ways of living can not can not the factor to create race discrimination among us because people will always be the same . we are equal. even in schools we can do differ in skin colours but we do get the same education and being treated equally, for example Park university have students from different parts of the world. I believe that the public bringing up how race effects common events in society is comparable to picking at a scab. The strides that society will make in racial equality are reversed when we ask ourselves and other if race has a role to play in common problems. The more we discuss how races differ from each other, the longer we will bleed. The more race is discussed.. I agree this is true to some extent. However, discrimination of all kinds still exist, beyond race. And as long as it exists, we as people need to discuss it. The more discussion there is, the more of a chance there is we can fix the problem. There may be the ultimate "human race". But, if we all looked exactly the same, there would still be discrimination. It is human nature to want to be superior. People want to be better than everyone else. Because of this mentality, there will always be some way to discriminate. People will find a way to mark differences and make them seem unworthy. I feel it is an unavoidable phenomenon that will continue no matter the "race" or "ethnicity". There is truth in what you are saying. People will find ways to distinquish themselves from others. This is why some schools have uniforms to lessen the differences. However, even where everyone wears the same clothes they find ways to make themselves different. Gangs wear certain colors and some groups have t-shirts. Some religions require a certain type of dress. All this is done to remind those people of who they are and to show that they represent a group of like minded persons. Even if we are all the same "race", there will still be differences. In the United States we refer to different ethnic groups by their origin and skin color. Such as African Americans, Native Americans, and Caucasian Americans. Isn't it time to start referring to everyone as Americans? In England, they don't refer to each other as we do. Everyone is just English but just have a different color of skin. There is no term for a "Black English" person, this is what America needs to return to but for some reason after 100's of years people still aren't able to change how they see a persons race in America. I think that this would be ideal but many people in America hold grudges. Many people in the South still have confederate flags on their trucks, in their houses, and in their yards. It is a reminder that they lost the Civil War and also a reminder of what they were fighting for. Maybe it won't be possible to change how people in America view race because society has built up these stereotypes that still remain. Also, we use race to describe people. For example, if someone is an eye witness to a crime, normally someone would include the color of skin that a person has. That alone is a huge indicator of how we address people. I agree on the just "American"
I agree with this idea of just being American. Too often people find it necessary to differentiate between individuals with a descriptive word, black white, old, young etc. I think those descriptive words should not be used unless they help with your discussion. For instance if you are making a comment that needs the clarification or further description. Example: I saw this older lady riding a skate board like she was a teenager. One other thought in regards to the "American" term. There are many people who are proud of the descriptive American name. Native Americans carry a great deal of pride in their heritage. Some people may find it hard to completely change over. Does teaching tolerance really stop discrimination? I like the idea of one human "race" and different ethnic groups. However is this really going to stop discrimination? I am not sure. Is teaching tolerance really the right way to stop discrimination? When I think of tolerance I think of being tolerant of something. Maybe this is my generation speaking, but to me being tolerant is not the same as appreciating. I believe teaching appreciation and love for others is the more ideal way to go. Education about other cultures and ethnic groups is the way to learn appreciation of our differences. If you learn to appreciate each other you are more likely to find a common ground and learn to love each other no matter your differences. Tolerance is the bare minimum and sends the impression that is all we desire. Just tolerate them until you can leave or they leave. Tolerance to me is just one step up from discrimination. Is that all we want?